Who says love, at first sight, will always be the true love you are looking for? Well, our Bolly celebs have defined and redefined love in their personal lives time and again. It is not absolutely necessary that we will find the ideal perfect life partner at once. Sometimes, it takes a lot of time to realise what we really want and we do marry for the next time. 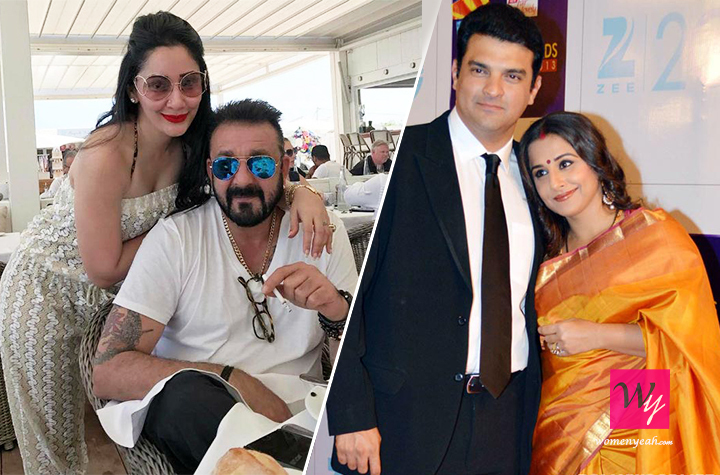 Today, we will know about some prominent bollywood names that married thrice or more to find their partners. 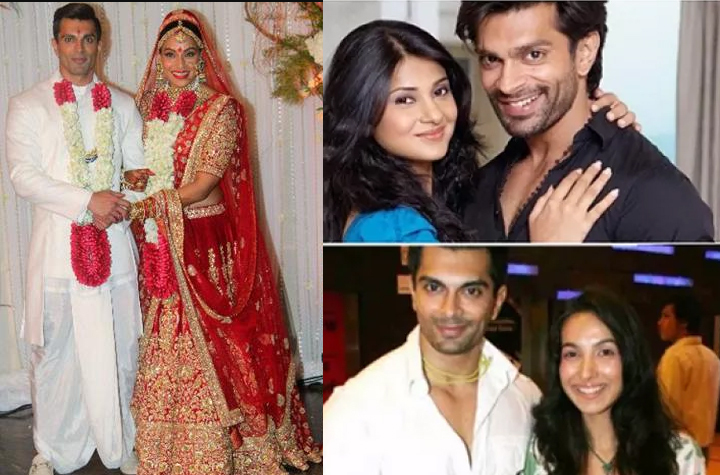 The first bollywood actor that just cannot slip out of our mind when talking about marriage and remarriage is Karan Singh Grover. 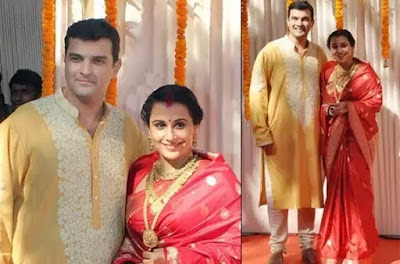 His previous marriages to first wife Shraddha Nigam, a well-known TV actress and then, second wife, the queen of the small screen, Jennifer Winget both ended as he realised he wasn’t the one for them. His relation with his third wife, Bolly star Bipasha Basu is going strong and we all hope he finally found his true love. Wish you all the best, Karan and Bipasha! Legendary singer, Kishore Kumar married not thrice but four times in his lifespan. 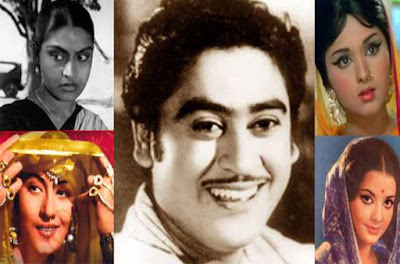 His previous wives, Ruma Guha Thakurta, legendary actress Madhubala, Yogeeta Bali were separated from him either due to divorce or untimely death. His fourth wife, Leena Chandavarkar is his widow after the successful singer passed away. When it comes to marrying thrice, Munnabhai aka our very own Sanjay Dutt cannot escape this list. 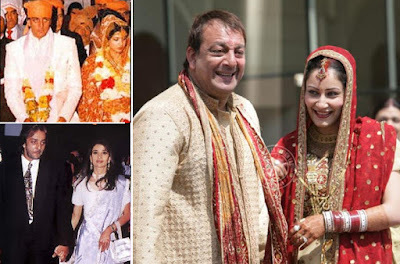 His first wife, Richa Sharma died due to a brain tumour while he separated from his second wife, model Rhea Pillai in around 2005. He is currently married to Manyata Dutt. The UTV head, Siddharth Roy Kapur is another one on our list. His current wife, bollywood star, Vidya Balan is his third wife. Prior to his marriage to Vidya, he was married to his childhood friend, and then to a TV producer. 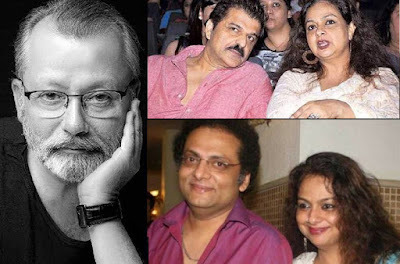 Bolly ’s chocolate actor, Shahid Kapoor ‘s mom, Neelima Azmi has married thrice. Her first husband, Pankaj Kapur is a well-known name in both television and film industry. She also separated from her second husband, Rajesh Khattar and is currently married to eminent classical vocalist, Ustad Raza Ali Khan. There are many more examples of such prominent celebrities who married thrice in search of their perfect/ideal life partner. We should realise there is nothing wrong in tying the knot for three times, sometimes more or less too, if it can prevent loss of meaning to our own life and spoiling the other person’s life. Marriages are made in Heaven, and we need to find out our perfect one. This perfect person may not be necessarily found in the first relation always. Some do find sooner while some others take time to find their ideal partners.